This Heavy Leather farming guide is made to help you farm Heavy Leather. 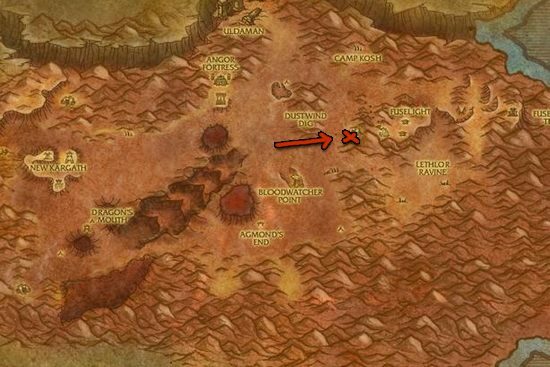 I decided to search for places with high density of mobs which I can skin and drop Heavy Leather. I traveled around Azeroth, and after a while I made a list of places. The recommended skinning skill for farming Heavy Leather is around 180. If you farm at these places with lower Skinning skill, you will get a lot of lower tier Leather until you reach 180. Just simply clear bats, scorpions, and basilisks at the marked area. The fastest way is to pull everything then kill them all at one place. The instance has two entrances, it's easier to enter from this one. 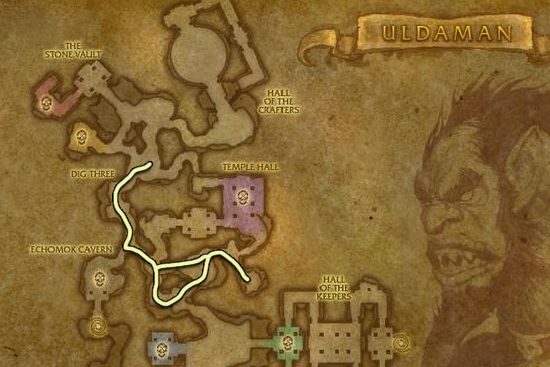 After you cleared the instance, you shouldn't use the exit gate at the start, you should run to the one marked on the maps since it's closer. Run out, then you have to reset Uldaman by right clicking over your own portrait, and then click the "Reset Instance" button. This restarts the whole instance, and all mobs will be back. You can only do 10 instance runs in an hour, one clear gets you around 35 leathers, so you will get around 350 leathers in an hour. You can farm Heavy Leather by killing Feral Scar Yetis or Rage Scar Yetis in Feralas. These mobs drop Heavy Leather almost exclusively, I only got a few Thick Leathers by farming them, the respawn rate is really quick. I also like yetis a lot more than other beasts because they drop cloths instead of trash grey items. Next one is in Dustwallow Marsh, the area is full of beasts. Just go around, and kill every Raptors, Dragonkins, Crocolisks. In Western Plaguelands there is an area around The Mender's Stead where you can kill and skin Hulking Plaguebears and Diseased Wolves. These are my favorite places for Heavy Leather farming. Contact me if you have better farming spots!